The LGBT stars of Tuesday’s primaries are shining big and bright deep in the heart of Texas. Dallas County Sheriff Lupe Valdez became the Democratic nominee for Texas governor, prevailing over Mark White in a runoff election today. There were runoff votes in the state in races where no candidate received a majority in the March 6 primary. Valdez, who is a lesbian, was tied with White early in the evening but eventually opened up a five-percentage-point lead over him, The Texas Tribune reports. She is likely to face an uphill battle against incumbent Republican Gov. Greg Abbott in November, but her supporters are enthusiastic. 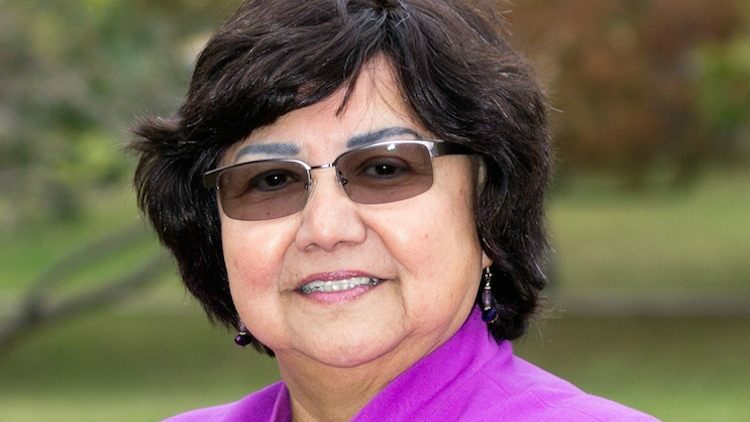 “Tonight Texans made history by making Lupe Valdez the first openly lesbian woman to win the gubernatorial nomination from a major political party — the latest in a series of groundbreaking wins for LGBTQ candidates in the state,” said a statement issued by Annise Parker, the former mayor of Houston who is now president and CEO of the LGBTQ Victory Fund, which endorsed Valdez. Another big win came in Texas’s 23rd Congressional District, where Gina Ortiz Jones, a lesbian Filipina-American and Iraq War veteran, won a runoff against Rick Treviño to become the Democratic candidate for U.S. House. The district, located in the southwestern part of the state, is majority Latino and was carried narrowly by Hillary Clinton in the 2016 presidential election. Democrats think they can win the House seat in November. Jones is part of the Democratic Congressional Campaign Committee’s Red to Blue program, notes Roll Call. In November she will face Republican incumbent Will Hurd, who is in his second term. During his first term, he racked up a so-so record on LGBT issues on the Human Rights Campaign’s Congressional Scorecard — 48 points out of a possible 100. If Jones beats him in November, she’ll be the first Filipina-American in Congress and the first out lesbian in the Texas delegation. Well, perhaps one of the first two. Another lesbian candidate, Lorie Burch, defeated attorney Sam Johnson in the Democratic runoff in the Dallas-area Third Congressional District, where the Republican incumbent, who is retiring, is also named Sam Johnson. Van Taylor will be the Republican nominee in November. Mary Wilson lost the Dem runoff in the 21st Congressional District to Joseph Kopser. There will also be a gay man running for U.S. House from Texas. That is Eric Holguin, who easily defeated Raul Barrera in the Democratic runoff in the Corpus Christi-area 27th Congressional District. He will face Michael Cloud, who won the Republican runoff in the distrct, where scandal-plagued Republican U.S. Rep. Blake Farenthold is retiring. A lesbian candidate for the state Senate in Texas, Fran Watson, lost her Democratic runoff to Rita Lucido. Primaries were also held todayin Kentucky, Arkansas, and Georgia. In Kentucky, Jim Gray, the out gay man who is mayor of Lexington, lost the U.S. House primary in the Sixth Congressional District to Amy McGrath, a retired Marine fighter pilot and political newcomer. In conceding the race, Gray promised to work hard for McGrath as she seeks to defeat Republican incumbent Andy Barr in November. Barr, now in his third term, had zeroes on the HRC scorecard in his first two terms. Also in Kentucky, David Ermold, one of the gay men denied a marriage license by Rowan County Clerk Kim Davis in 2015, lost his bid to become the Democratic nominee challenging her in November. Ermold, who joined in the lawsuit against Davis for shutting down marriage license operations rather than comply with the Supreme Court’s marriage equality decision, lost to Elwood Caudill in a four-way race, reports The Courier-Journal of Louisville. Another out Kentuckian, Lexington activist Josh Mers, lost the Democratic primary for state representative from the 88th District to Cherilynn Stevenson. In Arkansas, Tippi McCullough, who was spurred into activism after losing her teaching job at a Catholic school because she married her female partner, won over Ross Noland in the Democratic primary for the state House or Representatives in the 33rd District, which covers parts of Little Rock. The current representative, Warwick Sabin, is not seeking reelection, and no Republican is running in November, so McCullough stands to become the only out LGBT member of the state legislature. In Georgia, incumbent Democrat Park Cannon, one of several out members of the state House of Representatives, easily beat challenger Bonnie Clark. No Republican is running in her district in November, so Cannon is assured of reelection. Among other out, incumbents, Karla Drenner and Renitta Shannon each had no opponent in the Democratic primary and are also unopposed in the general election; Sam Park was unopposed in the primary and faces Republican Valerie Clark in November. A Democratic newcomer, Matthew Wilson, was unopposed in the primary and will be up against incumbent Republican Meagan Hanson in the fall. ← Celebrate with a Salad!